He is suspected of embezzlement at the Zaporizhzhya energy distribution company. Former Ukrainian MP Dmytro Kryuchkov, who is suspected of embezzlement at Zaporizhoblenerho, has been detained in Germany, Radio Liberty has quoted the National Anticorruption Bureau of Ukraine (NABU) as saying. 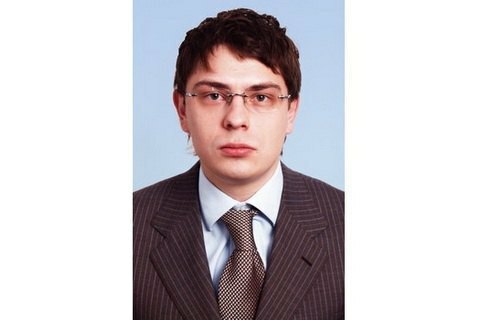 "On 14 April, the board chairman of the Enerhomerezha company, who is suspected of crimes described by Article 191 Part 5, Article 27 Part 3 and Article 364 Part 2 of the Criminal Code of Ukraine, was detained in Germany on 14 April. The National Bureau is preparing a package of documents required for the suspect's extradition to Ukraine, which will soon be sent to relevant institutions in Germany," the NABU said in response to the Skhemy investigative journalism project. Kryuchkov is a suspect in the case on the embezzlement of 346m hryvnyas at Zaporizhoblenerho, in which the state owns over 60% of shares. In July 2016, Kryuchkov was declared wanted. The case has been investigated since December 2015. The Surkis brothers and Kostyantyn Hryhoryshyn own minority stakes in the energy company. Kryuchkov was a member of the Ukrainian parliament of the fifth convocation on the list of the Yuliya Tymoshenko Bloc. He was a member of the parliamentary committee on fuel and energy, nuclear policy and safety.